A student of mine wrote a great paper that I would like to share, explaining how racial considerations affect the ways we set up mass transit. He showed how the decision to demolish the Embarcadero Freeway after the 1989 earthquake in San Francisco involved ethnic concerns, as well as how the controversy a generation later about building a new underground light rail line threatened a commitment made to Chinatown. His research deserved an “A.” Wendell Lin, a recent graduate of UC Hastings, documented with care what even open-minded people might not believe: these official decisions are not simply about what is on the surface. Then the development of the Embarcadero Freeway divided the urban core. It also blocked waterfront views of real estate that otherwise would have appreciated at an even more accelerated rate. The earthquake, the most significant since the famous 1906 tremor that virtually destroyed the town that had boomed because of the Gold Rush, offered an opportunity though. The destruction prompted discussion about knocking down what had turned out to be a bad idea. The only problem was that Chinatown depended on an easy exit which allowed families that had settled in the suburbs to come back to a district that once had been hyper segregated. Back in the day, the Chinese immigrants and their American children, who had been integral to San Francisco since its founding, could not leave their quarters without risking violence. Thus a compromise was negotiated after considerable debate. Civic leaders, who at the time included very few persons of Chinese background, agreed there ought to be an extension of the MUNI line from popular Union Square. It would offset the elimination of the highway. Chinatown, still densely populated, also happens to be a tourist attraction. The problem, as Wendell showed, was that by the time twenty years later when it became likely the promise would be fulfilled, people had forgotten. The cost of the project and the disruption of the dig were emphasized, the representations to Chinatown and the patience of its inhabitants who aide been waiting was correspondingly dismissed. Investigations were initiated. None of this is unique to San Francisco or to Chinese Americans. I encouraged Wendell to look at similar cases elsewhere involving African-Americans. Residential segregation might look as if it is the product of individual decisions made by various families innocent of prejudice. A bit of excavation in public records reveals the truth. Time and again, including in the north and the west (not merely in the Jim Crow South), these actions reinforced identities tied to place, some privileged, others not. Federal government policies encouraged redlining that locked out people of color. Local school boards placed new facilities in stable areas to avoid mixing. The controversy over the Central Subway subsided thanks to Chinese American determination. The Chinatown station is scheduled to open soon. Perhaps people will recall why it came about. With ethnic studies courses, and the students who share an interest in this past, we are able to prove that race continues to have its effects. If we do not support such a curriculum, race would remain nonetheless decisive. We would simply be ignorant. 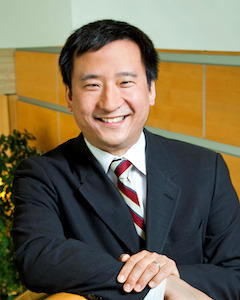 Frank H. Wu is a Distinguished Professor at University of California Hastings College of the Law, where he formerly served as chancellor and dean.